The day that all Google and Android enthusiasts were impatiently waiting for is finally here. The Mountain View giant hosted its annual hardware event tonight in New York. Obviously, the stars of the show were the flagships — the Pixel 3 and Pixel 3 XL, successor to the last year’s Pixel 2 and Pixel 2 XL (review). However, the company also launched a slew of devices at the event, including Pixel Slate. 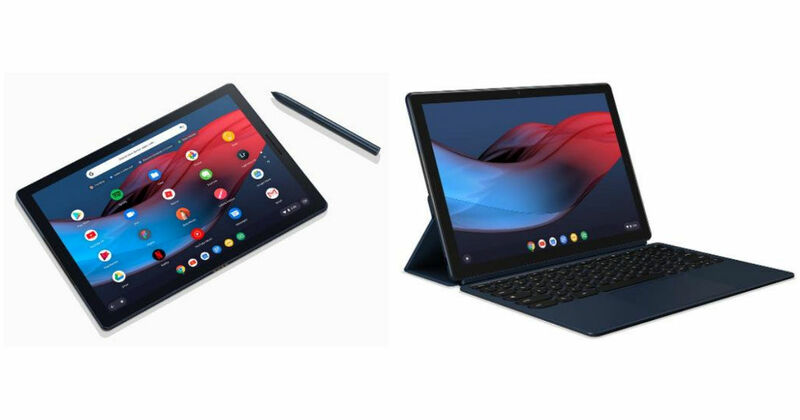 The Google Pixel Slate is the first hybrid tablet from the brand and is compatible with third-party full-sized keyboards. The device comes with the latest Chrome OS, which has been re-imagined from the ground up for touchscreens. The software also features a built-in antivirus. The Pixel Slate comes with a 12.3-inch touchscreen LTPS display offering a screen resolution of 3,000 X 2,000 pixels. In the performance department, the tablet comes powered by 8th-gen Amber Lake Intel processor, with configurations ranging from Celeron chipset going all the way up to Core i7 CPU. The tablet is being offered with up to 16GB of RAM and 256GB storage. Google is also offering a folio keyboard case with circular keys and a dedicated Google Assistant key. Apart from the folio keyboard case, the Slate also gets support for a digital pen, like the Apple Pen. Other features of the Pixel Slate include a USB Type-C port, Wi-Fi and LTE. Google’s Pixel Slate connects to the keyboards via POGO pins. The brand has also introduced the Slate Keyboard, which can connect to the tablet in a snap. The folio case has a full-sized keyboard with rounded keys to type comfortably along with a trackpad. There’s also a dedicated Google Assistant key on the keyboard. Unlike other detachables, the Slate can be used at multiple angles. For imaging, the Pixel Slate features 8-megapixel cameras at the rear and fascia. Interestingly, the tablet also has the Google Camera app, which offers a software-based bokeh effect. The 2-in-1 also sports dual speakers at the front to offer crisp and loud sound output. For security, Google’s device will offer fingerprint scanner, embedded on the power button. The internet behemoth has also announced the Pixebook Pen, which is similar to the one introduced last year with the Pixelbook, and lets you activate Google Assistant or select an area on the screen to trigger Assistant. Available as a separate accessory, it’ll set you back by $99 (~Rs 7,500) and can be purchased in Midnight Blue hue as well along with the white colour. The Keyboard on the other hand, carries a price tag of $199 (~Rs 15,000). The Pixel Slate will go on sale later this year with a starting price of $599 (~Rs 44,500), while the top-end model will set you back by $1,699 (~Rs 1,26,000).